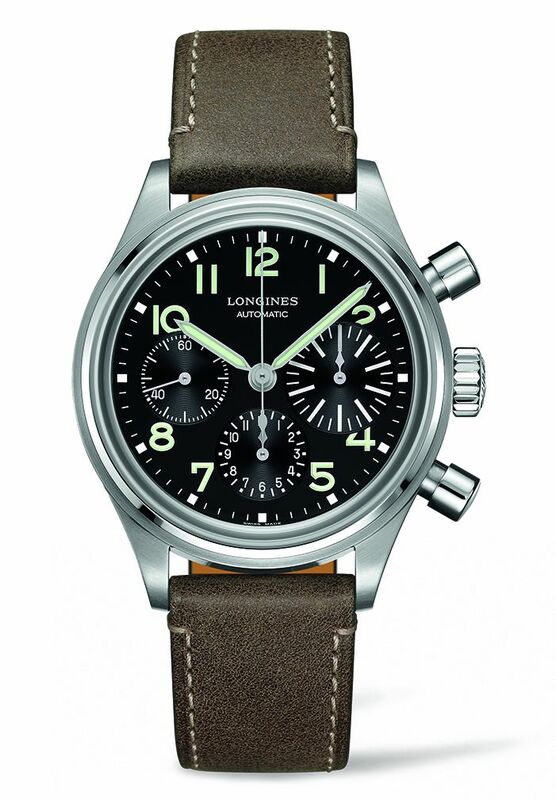 Longines is reissuing a chronograph from its archives based on a design from the 1930's. The case, in stainless steel, measures 41mm. It has a domed AR-coated sapphire crystal, an engraved caseback, and it is water resistant to 30 meters. 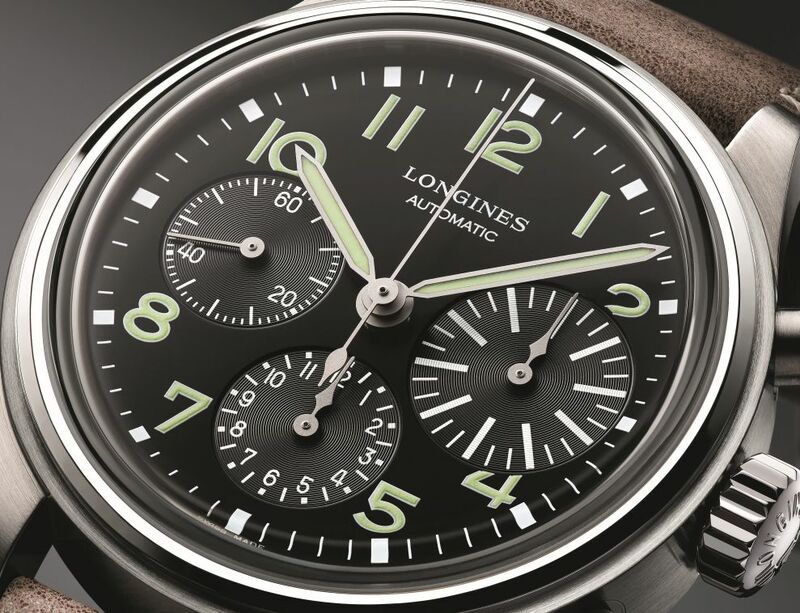 Movement is the Swiss automatic Longines caliber L688.2 (base ETA A08.L01 produced exclusively for Longines) with 27 jewels, 28,800 vph and a power reserve of 54 hours. Functions are: hours, minutes, small seconds at 9 o'clock. 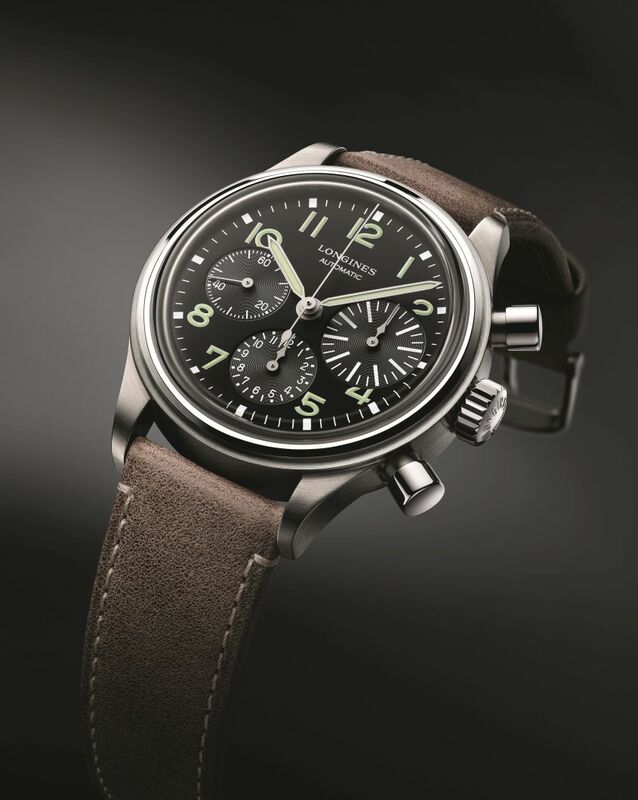 Column wheel chronograph with central 60-second hand, oversized 30-minute counter at 3 o'clock, and 12-hour counter at 6 o'clock. It has a semi-glossy black dial, with nine Arabic numerals coated with SuperLuminova. Sand-blasted and rhodium-plated, hour and minutes hands coated with SuperLuminova. It comes on a brown calf leather strap with a steel buckle.